endota spa is Australia’s most loved wellness brand with world leading treatments and product ranges. With over 100 spas nationwide we are the largest spa network in Australia. endota spa invites you to reconnect with your best me by providing a haven where you can escape life's everyday stresses. Our treatments take you on a sensory journey to replenish your mind, recharge your spirit and rejuvenate your body, supported by our revolutionary product ranges with proven results. 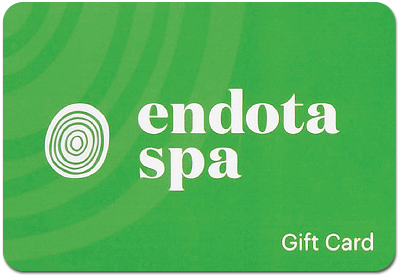 Your eGift Card is redeemable at any endota spa throughout Australia. It can be redeemed for any treatment or product of the same value, or you can upgrade by paying extra. Visit endotaspa.com.au to find your local spa and browse through their revolutionary product ranges.